Several stolen items from the Bayonne Fire Museum that turned up on eBay have been allegedly traced to a retired Bayonne fire battalion chief, according to Bayonne police. Paul Avery, 64, of Tenafly, who retired from the Bayonne Fire Department in 2017 after a 36-year career, was arrested and charged with theft in late January. Three helmets and a speaking trumpet were recovered, but other stolen items were not. How many items were stolen is unclear, but the value of those items likely amounts to several thousand dollars. The museum is on 47th Street between Broadway and Avenue C and was used as a firehouse until 1928. Now, it is mostly used for scheduled tours for student groups. 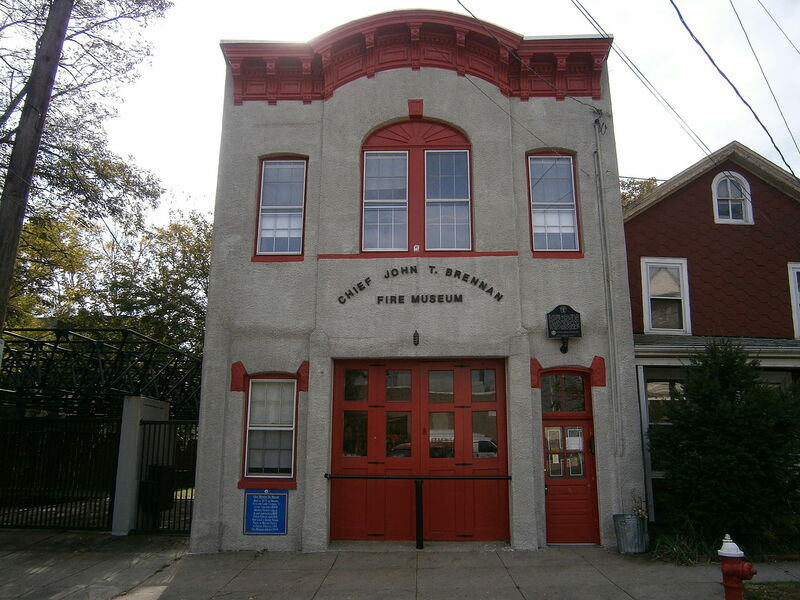 The museum is maintained by the Bayonne Exempt Firemen’s Association, with Captain Don Haiber overseeing the facility from a small office in the back. When Haiber initially learned of the thefts, he conducted a search and audit of the museum’s historic artifacts and found a “number of items missing.” He’s working with the Bayonne Police Detective Bureau’s investigation. Paul Avery, who has not been convicted of this crime and is presumed innocent, collects an annual pension of $130,000 and was compensated $185,448 a year before his retirement. He was instrumental in restoring the museum’s interior for an anniversary celebration in 2004, refinishing and constructing display cabinets, painting the walls, and cataloging old photographs and documents. Could money be a motive? The Bayonne Community News visited the museum in July of 2016 when a local developer found a historic firefighting axe from the early 20th Century while rehabbing an old building. The old firehouse was constructed in 1875 when Ulysses S. Grant was in office and was added to the National Register of Historic Places in 1976. That axe now hangs in a case with a plaque, fitting in seamlessly with the museum’s other exhibits. A few feet away is an old fire alarm that looks like a birdhouse made of steel with decades of red, chipped paint. An old horse-drawn fire engine, complete with gas lamps, a very loud bell, and a big spool of fire hose in the center reads “Assn. Exempt Firemen, Bayonne, N.J.,” and on the back the date 1840. Black-and-white photographs hang on the walls on both floors, some depicting old-world firefighters posing on horse-drawn fire carriages on the dirt roads of Bayonne.